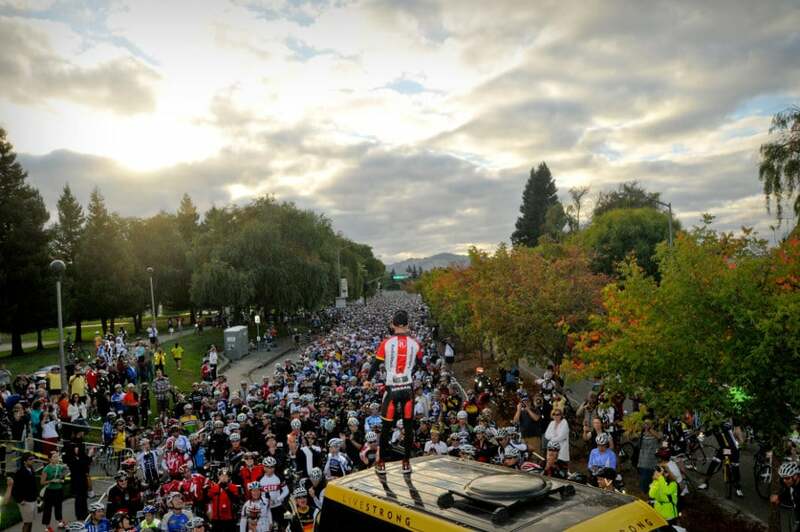 If you have any chance to be in Northern California on October 5-7 you would be wise to head to the town of Santa Rosa and partake in the tenth annual Levi’s Gran Fondo, which year after year, proves not only to be the largest GF in North America, but also the best GF that Team RBA has participated in. For this year’s event, Levi and the town of Santa Rosa have gone all out to put on a bigger event than ever to celebrate not on the GF’s decade long run, but the one year anniversary of the raging wildfire that almost engulfed the entire city. 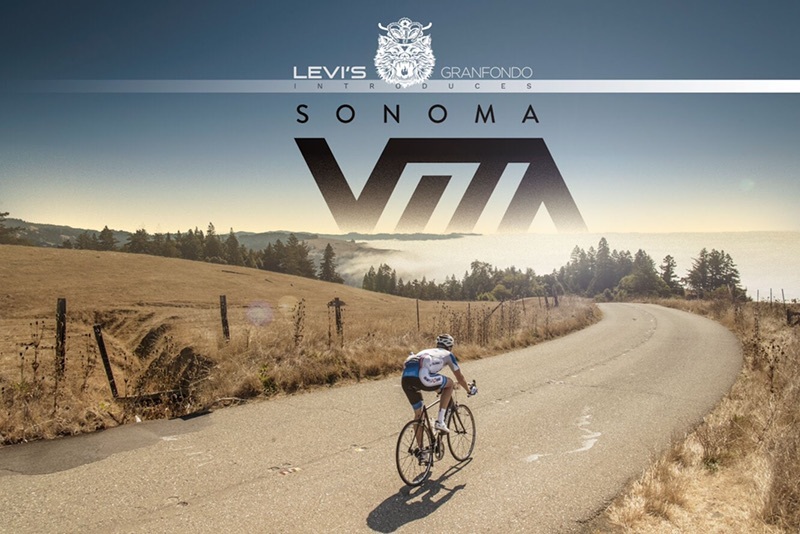 Now more than just a bike ride, Levi’s GF is just one part of the Sonoma Vita festival that includes live music, wine tasting, and running races. The best thing about Levi’s GF is that there can be upwards of 7000 riders to share the experience with. More riders, more community, more awareness…it’s all a good thing. So much has changed for 2018 that LGF regulars would be wise to mind the details has both the location for registration, and, more importantly, the start have moved to a new downtown location. There is a wide variety of ride distances to choose from and entries are still open. Levi: Yeah, time has certainly flown by but I like to think that the reason that the event as been such a success us because the key recipe – the road and views – has remain unchanged. Of course we try to improve the ride every year, but this year we really went big wit the Sonoma Vita, especially following all the destruction from the fire last year. RBA: The fire ravaged Santa Rosa and you yourself lost your house. Levi: It really was astounding to see what the fire did last year – no one ever thought it would’ve jumped the freeway (Highway 101), but it did. We are really lucky that the fire didn’t affect any of the ride route. And yeah, I lost my house and like so many other people, we’re still dealing with insurance and waiting to re-build. The fire occurred within days after last year’s event and thanks to so many people, even Peter Sagan, who helped raise money, we were able to raise over one million dollars for local fire relief efforts. From all that I knew we had to put in a huge effort for this year because despite all the destruction, I still think Santa Rosa has a lot to celebrate. Levi and the beloved Neil Shirley tackling the King’s Ridge climb back in the day. The view descending down form the King Ridge lunch stop to the ocean is amazing..
RBA: I remember interviewing city officials a few years ago and they were so supportive of the Gran Fondo, more-so even than when the Tour of California came to town, because of al the charity work that the event supported. It seems almost unique in that respect versus so many other GFs. Levi: Actually, it was after I won the Amgen Tour of California for a third time that the epiphany of having the event came to me. For quite some time I had been thinking to myself how could I ever thank all the people, especially the locals, who had helped me in my career. I realized that it would be impossible on an individual level to pay everyone back, and then I thought that an even better way would be to pay it forward. I figured that if we could get 1000 riders to show up that it would be big deal…and for the first event we had 3500 riders sign-up. RBA: Besides the paella at the finish, what is it that attracts so many riders? Levi: Easy. It’s the roads. These are the roads that made me the rider and person I am and as much as I’ve ridden my bike all over the world, I can honestly say that these are some of the most beautiful roads in the world to ride on.